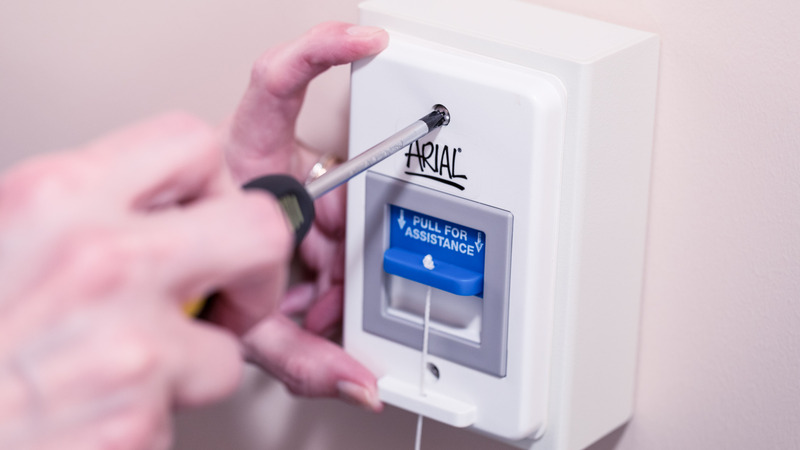 The Arial solution uses wireless technology to enable residents to call for help from both personal pendants and fixed call stations. Take your nurse call wireless with Arial U. Meeting all the requirements of UL 1069 nurse call, Arial U simplifies installation and gives you greater flexibility to make changes. Arial offers built-in integration of the WanderGuard BLUE Wander Management solution, including alerting and reporting. Integrate a wide range of other sensors and systems – everything from motion detectors to fall monitors to fire panels.